For more cheap accommodation in Loch Lomond and The Trossachs check out our accommodation section or special offers. Are you looking for an amazing getaway for a few days? Do you want to keep costs down? Maybe you want a water view with stunning mountain landscapes? There is loads of cheap accommodation in Loch Lomond and The Trossachs for you to enjoy. From bunkhouses and hostels to self catering cottages and forest cabins. Staying in the Scottish countryside can be expensive. If you know where to go you can save your money and get seriously great discounts and special offers. 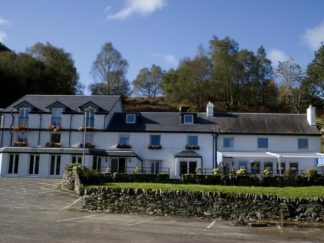 There are budget hotels and cheap bed and breakfasts in Loch Lomond and The Trossachs for you to choose from. Finding well priced accommodation can be a tiring job. 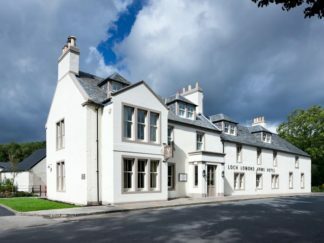 To help save you time we have reviewed the best cheap accommodation in Loch Lomond and The Trossachs for you. Read our review of the choices you have. The Inversnaid Bunkhouse is always a good choice. If you want a true rural experience while you immerse yourself in the beauty of the Scottish countryside you should consider staying at this fantastic location. 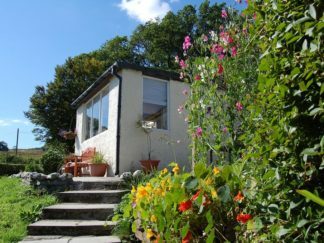 Situated on the western side of Loch Lomond you will also enjoy a warm reception and a comfortable bed. Originally a 19th century church which has been converted into friendly budget accommodation and licensed restaurant. A truly unique destination they even have their own outside hot tub. In addition to the original stained glass windows The Inversnaid Bunkhouse is serene, beautiful and set within majestic Scottish countryside. The Bunkhouse provide a pick up service from the West Highland Way walking track at the bottom of the hill. They also provide packed lunches, evening meals breakfast and most importantly the friendliest welcome you may well receive in Scotland. In addition, the helpful staff are on hand to ensure your stay will be comfortable and memorable. 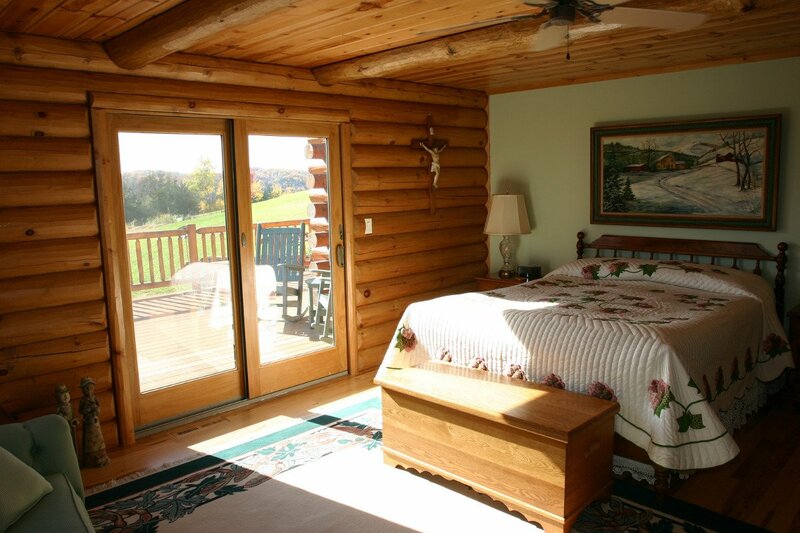 Another great place to stay are the Beinglas Farm Cabins. Situated among magnificent mountain scenery on the West Highland way walking trail these wonderful cabins are just two miles north of the top of Loch Lomond. Providing shelter and a place to relax for walkers, climbers and cyclists this fantastic facility provides everything you need for a getaway in the amazing Scottish countryside. With the local wildlife never far away you will be immersed in nature. Whether you want to experience the mountains and lochs close up or just want a peaceful cabin for a weekend this destination will leave you with memories that last a lifetime. The solid & cosy camping cabins offer a warm and dry low-cost alternative to other accommodation. If you want an upmarket glamping experience these cabins provide that little extra touch of luxury. Especially during less favourable weather conditions. Each camping cabin is supplied with mattresses, heating and lighting. They will almost be as comfortable as your own bedroom. The Strathfillan Wigwams are situated on a working farm in the north of the Loch Lomond and Trossachs National park. 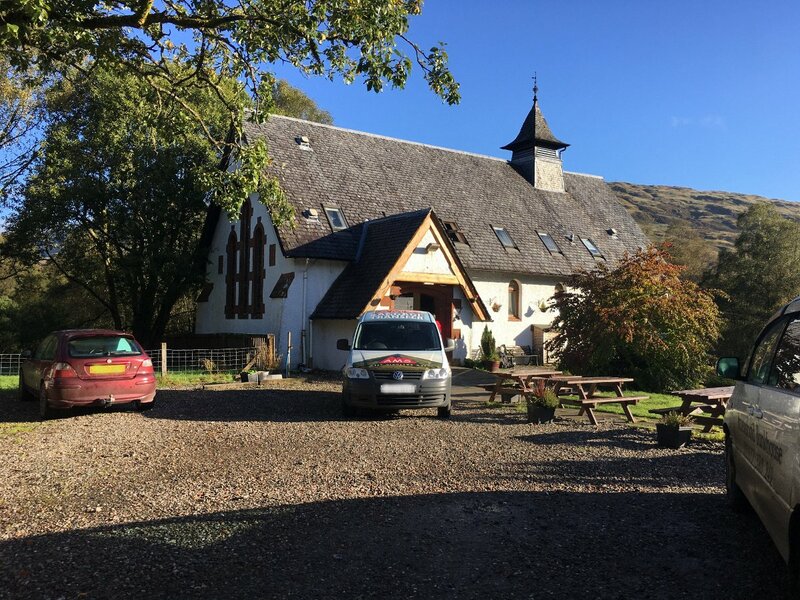 Located between the beautiful villages of Crianlarich and Tyndrum you will be surrounded by some of the most stunning Scottish landscapes. As a result of the dense forest and fields of wild flowers you will experience glamping with nature on your doorstep. If you want to take a break from the hustle and bustle of city life these wigwams are the best way to re-connect with the natural world. Because of the several walking and cycling tracks nearby you will always have something to do. In addition to the great accommodation there are lots of things to do in the area. If you want to experience something a little bit different you can also visit the local gold mine. Once you have struck gold you can return to your wigwam while you enjoy dinner cooked on your campfire. These wigwams are a great way to experience a true rural getaway with a good opportunity to see the stars and the northern lights on a clear night. In conclusion, the cheap accommodation in Loch Lomond and The Trossachs is of a high standard for the price. The staff are friendly and will do whatever they can to make your stay memorable and comfortable. They fit perfectly into their surroundings. They will also give you a true sense of rural Scotland while you enjoy a relaxed stay. 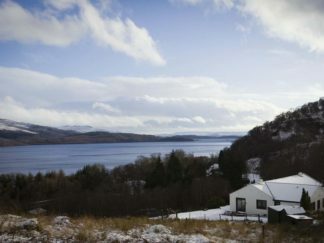 Finding cheap accommodation in Loch Lomond and The Trossachs with decent levels of quality is waiting for you to book. Stay this weekend or plan a trip while you travel through Scotland. Furthermore, and most of all, enjoy your time while you visit Loch Lomond and The Trossachs. There are many locations that offer cheap accommodation in Loch Lomond and The Trossachs. This selection is a quick guide to help you start exploring. For more cheap hotels and other types of lodging take a look at our accommodation area.